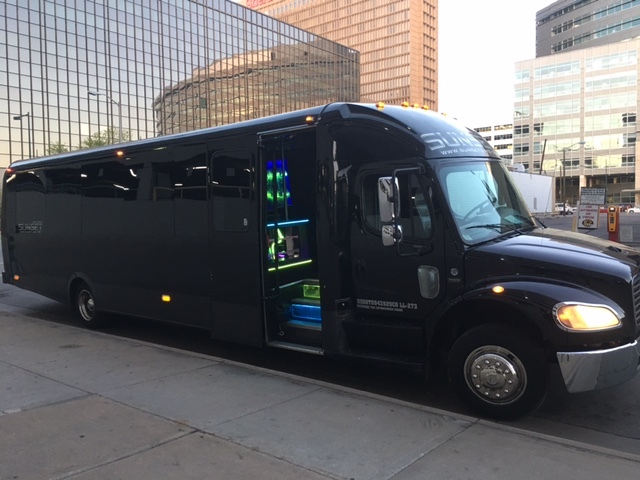 This may be the most unique Denver party bus! The “Freightliner” is a fantastic looking and incredibly well appointed vehicle, designed from the ground up to provide limousine level comfort and luxury on a much larger scale. 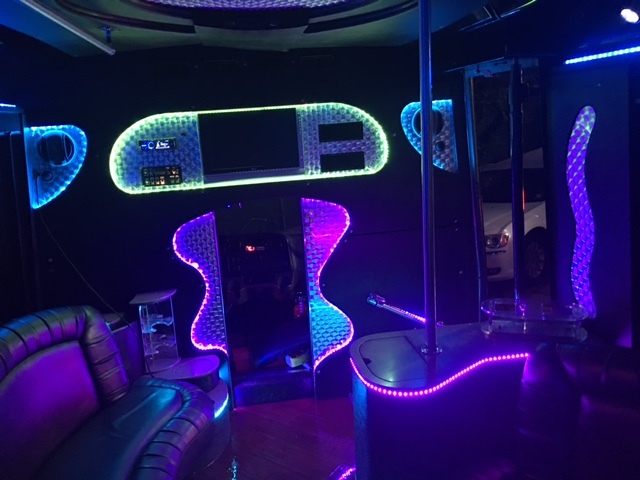 Perfect for both professional events and less formal occasions, this party bus has everything you need to make a big impression – all while having the time of your life! Seats up to 34 passengers. Seats up to 34 passengers. We recommend 28 passengers for the most comfortable seating. Although we do provide ports for charging smartphones and other devices, Sunset Limos does not provide auxiliary cables. 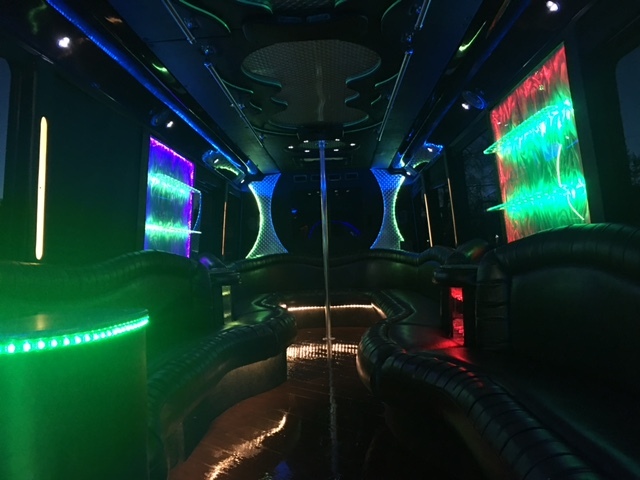 For booking a REAL party bus, Sunset Limos will give you a free t-shirt when you rent a party bus!